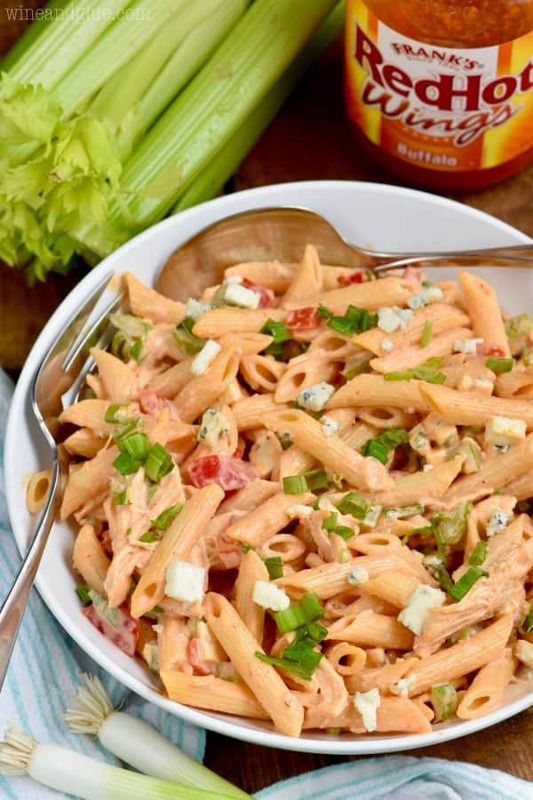 This Buffalo Ranch Chicken Pasta Salad is easy to throw together and totally delicious! This easy pasta salad recipe is perfect for BBQs, picnics, and family gatherings! It’s a creamy pasta salad recipe that combines the perfect flavors of ranch and buffalo. Your family is going to love it! 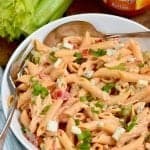 If you are looking for other dishes that feed a crowd, make this easy fruit salad, this taco pasta salad, and this crab pasta salad! This week has been full of stress and deadlines and not enough time to do all the things that need to happen . . . and Mother’s Day lunch with Quinn at her school. I felt like such a horrible mom for feeling stressed about adding that to my to do list. And then I got there. And then we went outside and played freeze tag. I’m pretty sure no one has ever looked more ridiculous playing freeze tag . . . ballet flats, purple jeans, a cardigan, a purse, and holding an iPhone . . . . but! It was seriously so fun. Quinn was cracking up laughing at the sight of her mother running from her friends and shrieking when she got caught. And so was I. Guys. Five year olds are super fast. And it also turns out that a game of freeze tag with five year olds is the best form of stress relief ever. I don’t personally recommend finding some random five year olds to play freeze tag with . . . because that’s going to make you seem like a creeper, but if you can play freeze tag without being a creeper, do it! 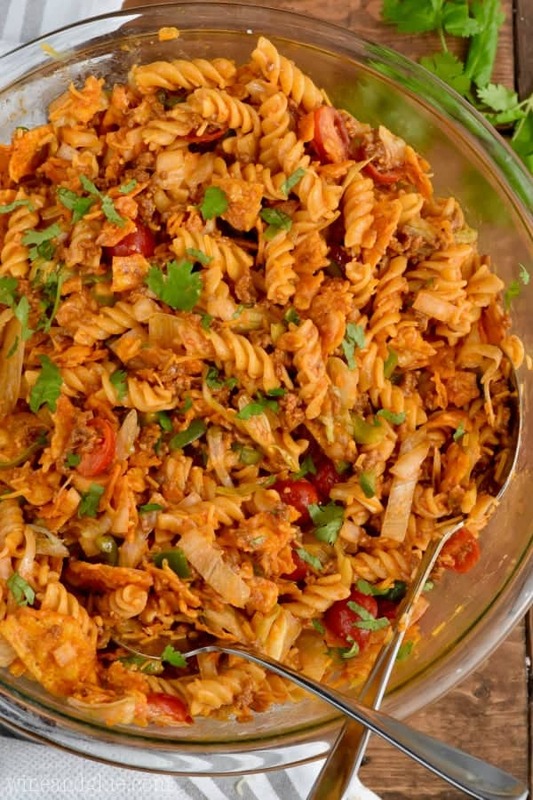 If you can’t play freeze tag, then make some Buffalo Ranch Chicken Pasta Salad. It also works great. 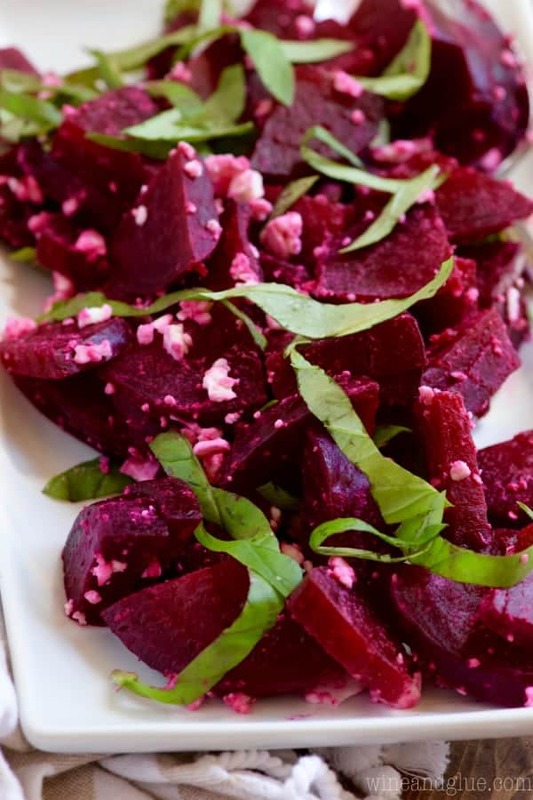 It’s crazy easy to make, and super delicious. Just some really simple ingredients, and made even easier if you use my Instant Pot Shredded Chicken. You guys know how I like to Buffalo all the things. Like this Buffalo Pull Apart Bread or one of my personal favorites this Creamy Buffalo Chicken Noodle Soup. So this pasta salad was really inevitable. The dressing for this is so simple and so delicious, and the mix ins are totally easy to change up. 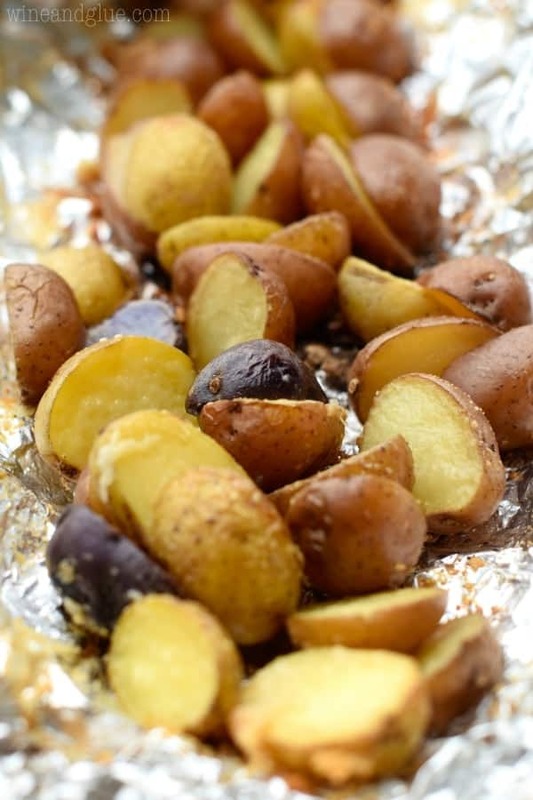 You can leave out the onions or the blue cheese if they aren’t your thing. Add some tomatoes if those sound good. Or leave it totally as is and try not to eat the entire batch yourself on the way to your family BBQ. 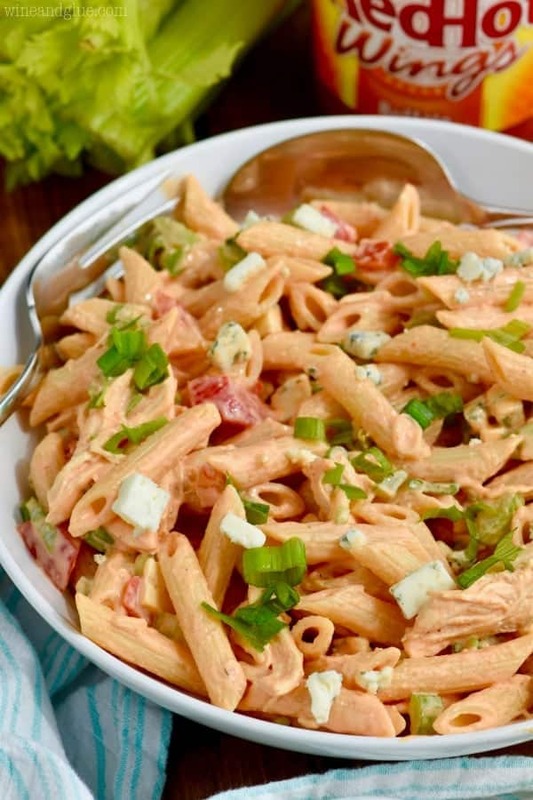 This Buffalo Ranch Chicken Pasta Salad is easy to throw together and totally delicious! This easy pasta salad recipe is perfect for BBQs, picnics, and family gatherings! 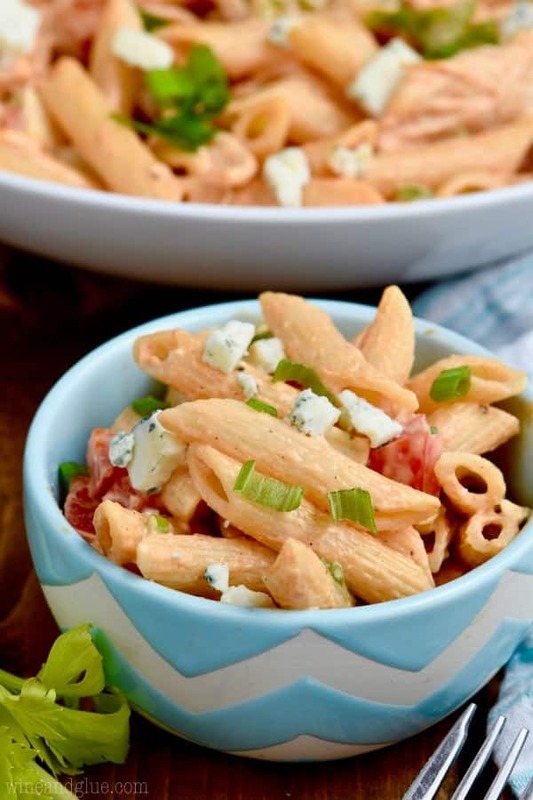 It's a creamy pasta salad recipe that combines the perfect flavors of ranch and buffalo. In a small bowl mix together the ranch dressing, buffalo sauce, light mayonnaise, onion powder, and garlic powder. 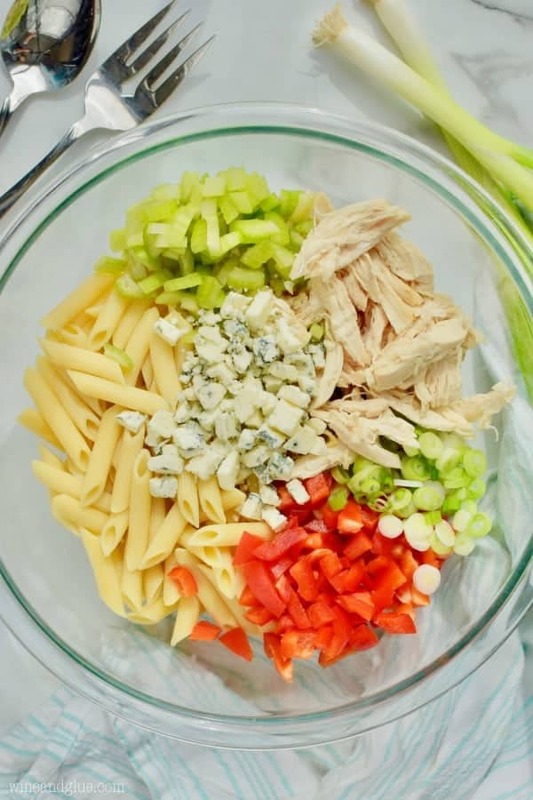 Mix together the cooked pasta, cooked chicken, green onions, celery, blue cheese, and bell pepper. Pour the sauce over it and mix until well combined. Love this combination of ingredients. Sounds delicious! How long will this keep good in the fridge? I’m thinking about making it for camping this weekend. About three to four days. Is this supposed to be served cold like a macaroni salad or room temperature?